The majority of services will run to Sunday timetables, with some exceptions. 21 – Sunday timetable, with an additional late evening journey at 11.12pm from Durham extended to Newcastle. 49 & 49A – will run to a special timetable. AD122 – starts running from 19 April, find out how you can explore Hadrian's Wall Country with us. 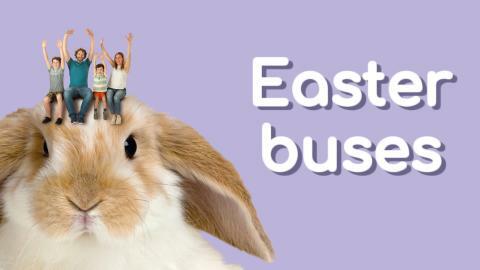 N21 – on Good Friday night / Saturday morning, the services will run the normal Night Bus timetable. X1 – will run to a special timetable. X66 – will run to a bank holiday timetable. X88 – will run to a bank holiday timetable. All services, including Night Buses on Saturday night / Sunday morning will run to normal Saturday timetables. X22 & X88 – will not run. X66 – will run to a special timetable. Fancy a family day out? Save money at top attractions and restaurants when you show your £10 family bus ticket.